Cloth shop owners in various parts of Gujarat on Tuesday decided to continue their indefinite strike against five per cent GST levied on textiles, a day after police baton-charged protesting members of their association in Surat. The Maskati market in Ahmedabad, a major textile centre in the state, wore a deserted look as around 25,000-30,000 traders observed a shutdown, protesting "police high- handedness" with agitating traders in Surat. They said the shops will remain shut indefinitely till the time their demands on GST were not met by the government. 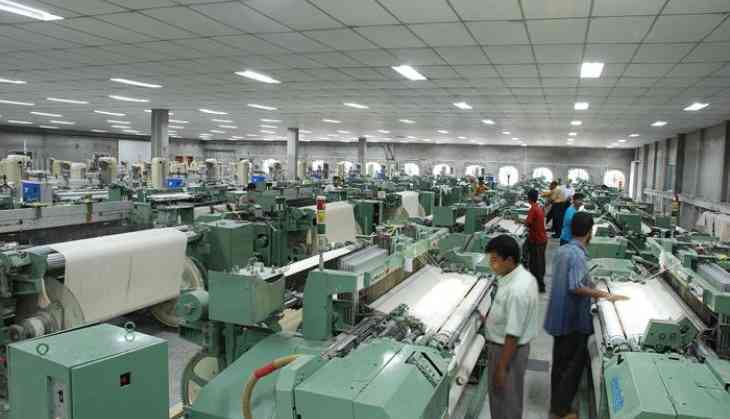 "In Ahmedabad, around 25,000-30,000 cloth shop owners have gone on an indefinite strike. Police action on protesters in Surat is unacceptable. Instead of meeting our demands, the government is applying force to suppress us," said Ritesh Shah, a textile shop owner in Maskati market. Surat's textile markets too remained closed, with street deserted. "This city gained prominence due to the hard work of businessmen like us. Those indulging in politics have not done much for the city. The police action is unacceptable and was entirely unprovoked. We stand united against the police action and will keep our shops shut indefinitely," said Ganpat Jain, a member of GST Sangharsh Samiti, which called the shutdown. Thousands of protesting members had gathered yesterday near the Ring Road in Surat, where the main market is situated, demanding scrapping of GST on textiles. Police then wielded batons to disperse the agitators who allegedly engaged in stone-pelting. Protesting traders had yesterday alleged that the police action came at the behest of Surat's BJP MP C R Patil while some shop owners sided with the leader and decided to keep their establishments open, defying the protesting association's call for an indefinite bandh. Patil was not immediately available for comment. Top Congress leadership in the state too had condemned police action against traders. The GST Sangharsh Samiti had called for an indefinite bandh on Sunday in the Surat textile market, which is one of the largest in the country. Several cloth markets in the state have since remained closed as most traders have not registered for the new tax system and do not have the GST number. They are hoping that the central government will intervene to resolve the situation. Some small traders said the new tax regime would adversely affect their businesses. They contended that the time given to them for GST compliance was short. The traders have demanded that the GST should be imposed on apparel and not fabric.